The third part of the freeride film series OUTLAW DIARIES is finally ready. Prepare for a wild bike adventure with Patrick „Bengel“ Rasche far away from the usual bike destinations. The first part of the series took place in Germany near Patricks hometown. The second one brought him to British Columbia, the mecca of mountainbiking, following the tracks of all those freeride legends that inspired his way of riding. For the new chapter it was time to seek for something new. "The unknown is what makes people curious. And nowadays it gets harder and harder to be a pioneer in this world.“, he explains his mission. „Bengel“ left his comfort zone in search for a place where he could be a pioneer again. A wild place, where no bike tire has touched the ground before. The east is calling. The Wild Wild East. Welcome to the wilderness of Kamchatka, Russia. Kamchatka is a peninsula in the Russian far east. It’s located in the Pacific Ocean north of Japan and has a wild coastline with 160 volcanoes rising from sea level up to 4.700 m. Until 1990 Kamchatka was a restricted military area that was closed to the public. For mountain bikers this part of east Siberia is still no mans land. 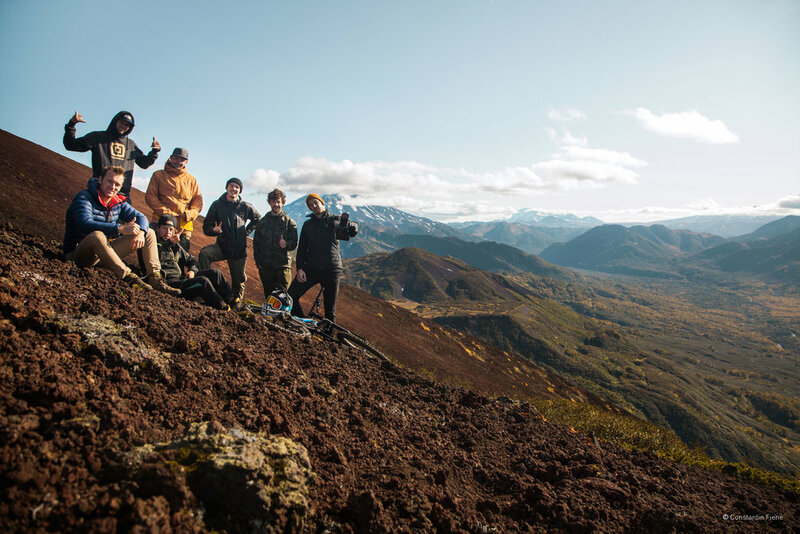 The team, consisting of Patrick „Bengel“ Rasche, his longtime friend and photographer Constantin Fiene and the El Flamingo crew visited the Russian wilderness for two weeks in late September 2017. The weather on the peninsula is as rough as the landscape and they had to learn that nature is the boss in Siberia. Ever dreamed of heli biking on volcanos with an old Russian army helicopter? Here we go. Join Patrick on his adventure in the land of fire and ice. Get behind the scenes during the production in Kamchatka in September 2017.